Romans 5, Romans 8, and 2 Corinthians 4 all speak about passing through sufferings to glory. The first step of this glory an inward beholding, as in 2 Corinthians 3:18. The second step is the Lord’s visible return to earth. “We eagerly await a Savior, the Lord Jesus Christ, who will transfigure the body of our humiliation to be conformed to the body of His glory” (Phil. 3:20-21). The ultimate step of this glory is New Jerusalem, “having the glory of God” (Rev. 21:11). Paul prayed for the development of the virtues of Christ in the Philippians “to the glory and praise of God” (Phil. 1:9-11). 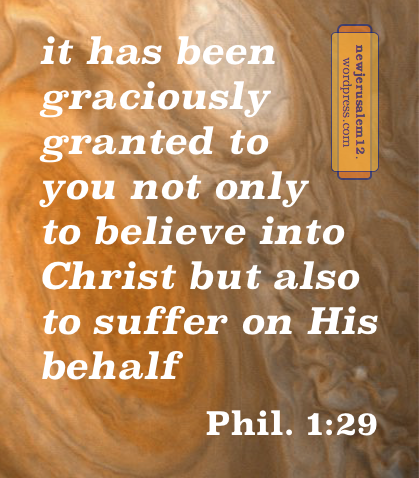 He also told them, “to you it has been graciously granted on behalf of Christ not only to believe into Him but also to suffer on His behalf” (1:29). Again we see sufferings and glory in the Christian life. However, New Jerusalem will be glory without sufferings. This gracious granting to suffer implies the supply of grace to carry us through the sufferings. 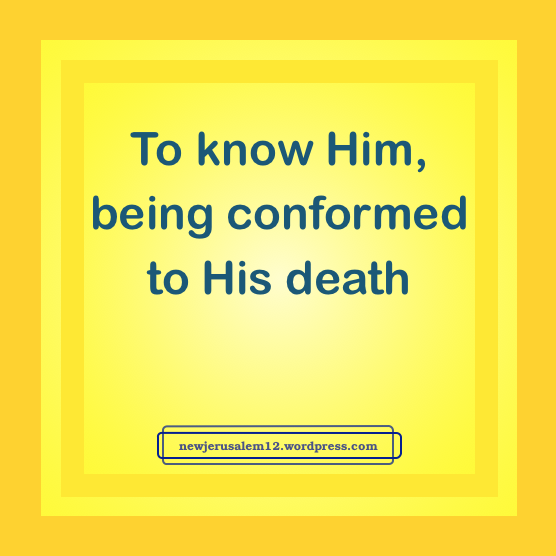 Paul also stated his own desire (and no doubt his desire for us also) “to gain Christ and be found in Him…to know Him and the power of His resurrection and the fellowship of His sufferings, being conformed to His death, if perhaps I may attain to the out-resurrection from the dead” (3:8-11). It is by the power of His resurrection that we are enabled to be in the fellowship of His sufferings. Gaining Christ and being found in Him daily develop the power of His resurrection in us and bring us into the fellowship of His sufferings. This fellowship eventually brings us to the resurrection, the transfiguration, of our mortal body to meet the Lord in glory at His return and to participate in New Jerusalem, the city of resurrection and glory.